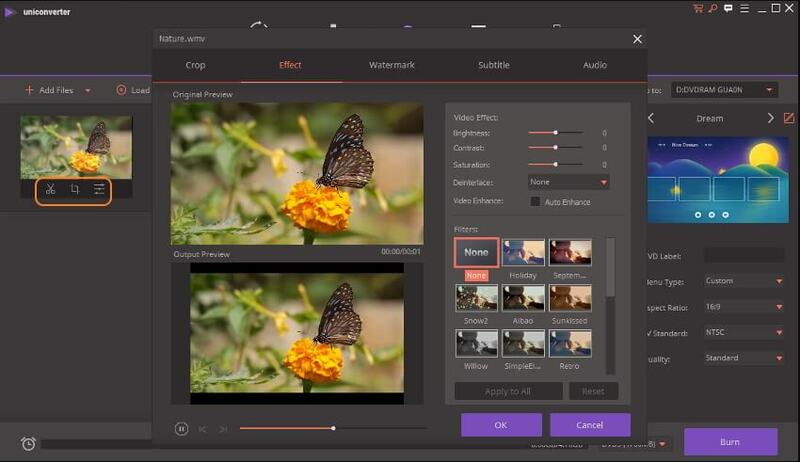 Files with .wmv extension are Windows Media Video files, which is developed by Microsoft for web streaming applications but now caters to more specialized content. As one of the smallest video files over the internet, WMV video is always resulted in deterioration of image quality, especially after video compression. If you have WMV video files and a DVD Player, chances are you will want to enjoy the WMV videos on the DVD Player. However, most DVD players do not support WMV format but DVD, CD, MPEG-2 and DivX AVI. Does this mean that you can't watch WMV file on DVD player? Sure not! In this article we will show you 2 easy ways to prepare your WMV videos for playback on any DVD player. It doesn't matter if are using a Mac or Windows computer, read on to learn how to convert WMV to DVD player format on Windows/Mac. If you have WMV videos you'd like to watch on your standalone DVD player at home, you will first need to convert the WMV files to DVD. 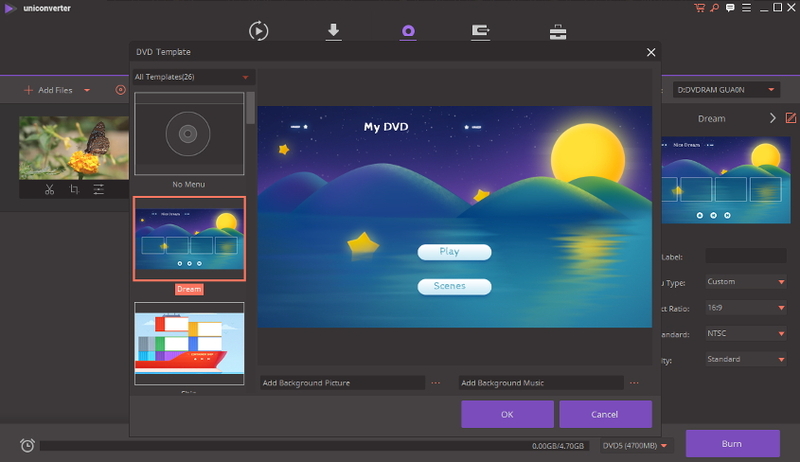 To do this, we highly recommend using Wondershare WMV to DVD Burner, which not only converts WMV to DVD without losing any image quality, but allows you to edit WMV videos by adding special effects, subtitles and even an elegant DVD menu. Additionally, the versatile WMV to DVD converter converts WMV to 1000+ different audio and video formats including MP3, MKV, AVI, FLAC, MP4 and much more. You don't need to be computer whiz to convert WMV to DVD using Wondershare UniConverter (originally Wondershare Video Converter Ultimate). Anyone can master WMV/DVD conversion by following the simple steps below. Assuming you have downloaded and installed Wondersher WMV to DVD burner, now launch the program and click the Burn tab, then click in the top-left to load the WMV video you want to burn to DVD. Here you're able to customize your WMV video by its versatile editing features. To access the editing window, you can click the editing icon below the video thumbnail of the just added WMV file. There are 6 categories for you to choose from. 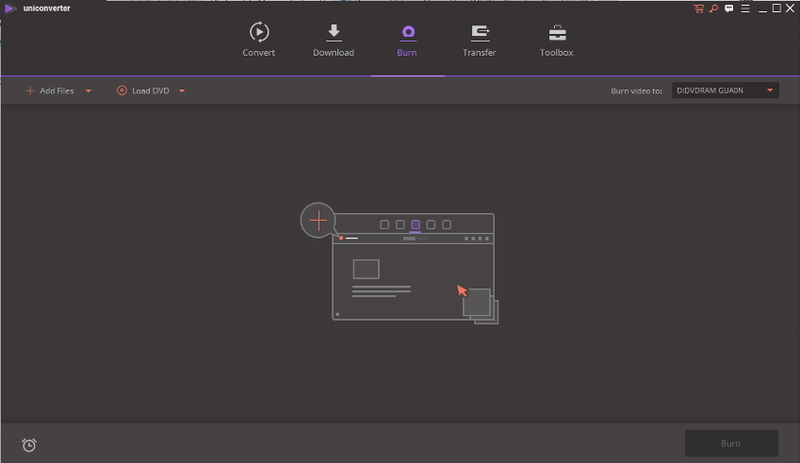 Trim: Assign a new length to your video Adjust: Rotate, flip, crop or change the aspect ratio. Click the template thumbnail on the right to choose your desired DVD templates, and then select Menu Type, Aspect Ratio, TV Standard and Quality in the section below. When you're satisfied with your settings, insert a blank DVD disc into your DVD drive, and choose the save path you want to Burn video to:. After that, click the Burn button to start burning WMV video to DVD. An online converter tool that enables you convert WMV to MP4 is Zamzar, allowing you to perform WMV to MP4 conversion within 3 simple steps.